The most capped English cricketer of all time in both Test Matches and One Day Internationals, Alec Stewart OBE enjoyed a prolific career as an aggressive opening batsman and wicketkeeper for both his county team Surrey and the England national team. With his playing days behind him, Alec now divides his time between coaching, player representation, mentoring and of course following the boys in Blue over land and sea. In this second part of an exclusive interview for CFCnet, Alec talks to Chelsea author Mark Worrall about his lifelong passion for the Blues. Are there any players you would like to see gracing the Stamford Bridge pitch in the Blue of Chelsea? Money no object? Yeah! I’d have to say Cristiano Ronaldo and Lionel Messi. I know you can’t have everything, but those two stand out head and shoulders above the rest. As much as I hate to say it, because he’s a Manchester United player, Ronaldo is an exceptional. He creates goals, he scores goals and he’s fantastic to watch. 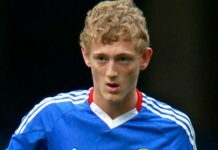 Let’s hope he signs for Real Madrid then in the summer, it will be one less thing for Chelsea fans to worry about when we play United next season. Going back to the start of this campaign there was plenty of enthusiasm amongst Blues fans when Big Phil Scolari became manager; what was your take on his appointment? I remember looking at his track record as an international manager and thinking, yes he can do the job. Personally, taking Avram Grant out of the equation, I would have preferred Jose Mourinho to have stayed on. I was a huge Mourinho fan. 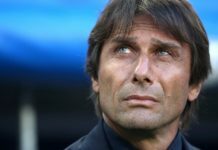 It was disappointing, a shame and everything else that he had to go, Grant simply wasn’t the right man and so when Scolari came in the majority of people thought, well he’s won the World Cup as Brazil manager, so he can bring success to Chelsea. I have to say though, right from the start I had some reservations. He hadn’t been involved in club football for a lengthy period of time, and speaking from a cricketing perspective I can assure you that there is a massive difference between the day-to-day management of a County side and having responsibility for an international team. 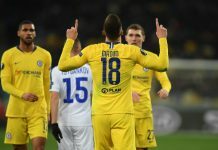 Do you think that if Chelsea had managed to sign Robinho, the player Scolari had indentified as his number one priority, things might have turned out differently for the Blues this season? That’s almost impossible to answer. Would he have fitted in at Stamford Bridge? I don’t know. Whom would he have played instead of? It’s difficult to say. It’s funny, but one thing I have always been curious about is why would a top club paying top wages let a top player leave? What were Real Madrid’s reasons for letting Robinho go? The transfer fee? I’m not so sure. Look how many times he’s been subbed when he’s played for City this season. It’s interesting isn’t it? It’s like when Barcelona let Petit go and Deco as well come to think of it. Chelsea paid big money for those two, with little or no return on the investment. Unless a club is offered a ridiculous sum of money for a quality player, why would they let him go? I think that managers continually assess their squads and from time to time will see something in a player that makes them think they might be past their best. Time to cash in. Despite all the press speculation, the speed with which Scolari services were dispensed with took most people by surprise. Guus Hiddink’s swift appointment, albeit in a temporary managerial role, has been an unqualified success, what do you attribute this to? Well I have this information second hand, but the way it was explained to me was that the players fitness levels weren’t good enough under Scolari and team affairs were also poorly organised. Personally speaking, when it comes down to fitness levels, if an individual doesn’t feel they are conditioned well enough they should be motivated enough to do extra work off their own back so in that case I would blame the individual. A new manager or coach coming into a club should be expected to have the ability and experience to reignite the desire and passion in his players that the previous man in charge failed to do. It’s clear that Hiddink has addressed both these areas, and the results are there for everyone to see. If Guus Hiddink does depart at the end of the season, who would you like to see in the managerial hot-seat at the Bridge? Well there’s been a lot of speculation linking Carlo Ancelotti with the job, but I read recently that he’d prefer to stay at AC Milan. 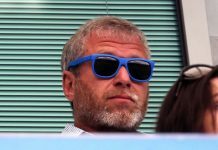 If I were Mr Abramovich, I’d go and get Mourinho back, but then again I don’t know what happened behind the scenes between those two, so maybe that’s not an option. Who would I bring in? (laughs) Go and get Sir Alex Ferguson to upset Man United. 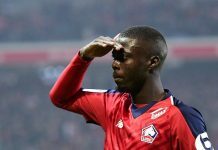 Seriously though, there are plenty of people you can talk about who potentially could do the job, but if they are coming from abroad you just don’t know how well they will get on in the English Premier League, and the problem at Chelsea seems to be that if you don’t deliver results almost straight away, you get moved on pretty sharpish. Didier Deschamps was another manager being touted as a possible recently but he’s just signed a deal to take over at Marseille, so it’s difficult to see an obvious choice. 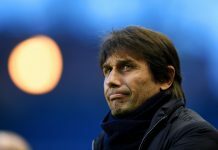 Whoever it is has got to speak good English, the spine of Chelsea’s side is English and of course it’s important for the supporters to be able to relate to the manager and for him to be able to get his point if view across. 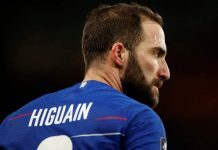 As a professional sportsman who has played for, and captained, his country, what is your opinion on the way certain Chelsea players reacted during last weeks controversial Champions League match with Barcelona at Stamford Bridge? Personally speaking, I can fully understand it because of the passion, the emotion and what it meant to them. I’m convinced they felt they had been cheated out of it, I was there at the game myself and witnessed one bad refereeing decision after another. Sometimes you know it’s just an error and you have to accept that, but then other times things might look a little dodgy. He had a shocking game and in my book has to be the worst referee that has ever been allowed to officiate a game as important as that. So yes, I can understand it all … but on the other hand, you still have to keep your emotions in check and by that I mean you should be able to express yourself and your frustrations, but never lose control of your emotions. As soon as you do that you are then asking for trouble. Unfortunately, Drogba lost his composure and of course Ballack, who I like as a player, did so as well. In football you can scream and shout at a referee, but you won’t get him to change his decision. Even though you might want to shoot the fella, you know you can’t. 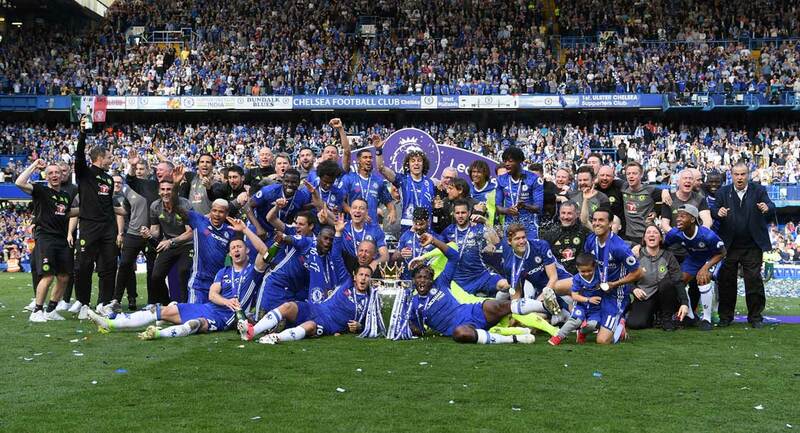 If these players had behaved differently, there would perhaps have been a lot more sympathy shown towards Chelsea. I can understand the Ballack incident more than what Drogba did. Ballack’s was an immediate response to what he believed should have been a penalty. Obviously he was frustrated with what had gone on before with the referee failing to give penalty decisions Chelsea’s way, so I can understand his behaviour even though I believe he shouldn’t have gone as strong as he did. The Drogba thing, well that’s completely different. He’d been off the field for some time, I wouldn’t say it was pre-meditated but it did seem an amazing reaction you know. 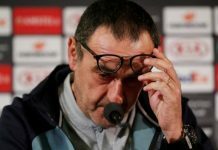 Chelsea played with passion and commitment but certain players went a little bit over the top, and it looks like they’re going to be punished unfortunately. How do you view Didier Drogba these days? He’s been a divisive figure amongst Chelsea’s match-going supporters this season. Do you think that following this latest controversial incident he should be sold at the end of this campaign? I’d keep him. I think he’s a very valuable player. I know he let himself down, his team-mates down and the supporters down in Moscow, and of course there have been a couple of incidents this season, but at the same time that’s the way he is and I think it actually adds something to the way he plays. Yes he does frustrate both home and away fans; he can lie on the floor a little bit too long or go to ground too easy but I’d keep him because he’s a special player who can continue to score important goals for the Club. It’s been reported in the press that several of the older players in the Chelsea squad, Drogba included, maybe sold at the end of the season to finance the purchase of younger stars, do you think this is a wise policy? It’s my opinion that if you are still good enough to play at the highest level then you should play. It’s not uncommon for players who retain their fitness and ambition to play into their mid 30s and beyond. From my experience in cricket, I can tell you what works best is to drip-feed younger players into a team over a period of time. If you get rid of all the senior players at once, then it leaves a huge hole. 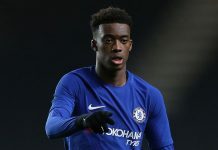 The way Chelsea are bringing on the likes of Mancienne and Di Santo is good, it’s all about getting the balance right between youth and experience. 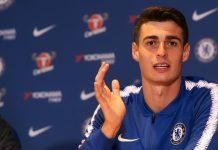 As far as bringing new players in, well a club like Chelsea will always be linked with the games top players, but you should only bring a player in who is going to strengthen the squad. Thinking about it, we’ve got Joe Cole to come back, that will be the same as having a top class signing and could have the same effect on the teams fortunes as Michael Essien did when he came back from injury this year. 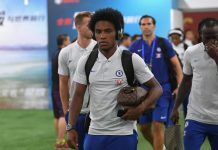 Which Chelsea players do you think are indispensible to the current squad? Well you have to go through that spine I was talking about earlier. Cech, because I do believe he is back to his best, Ashley Cole, John Terry obviously, Lampard, Essien and I would still have to say Drogba. The season’s nearly over but we have a day out at Wembley to look forward to at the end of this month. What’s your prediction for the FA Cup Final? I don’t think it’s going to be a fantastic game to watch unless of course Chelsea get an early goal, something which didn’t happen in the league game with Everton at Stamford Bridge the other week. I think David Moyes has done brilliantly with a limited squad and a limited budget. He’s certainly made the most of what he’s got there and he organises the back line superbly. They came down to Chelsea and got a point. 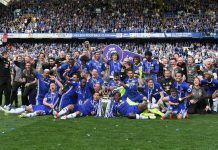 In the Cup Final, I think it will be important for Chelsea to try and get an early goal which will mean Everton have to come forward more and this will open the game up, otherwise it could end up a bit like their semi-final with Man U where they just sit back and soak it all up and go for the penalty shoot-out. My prediction? Yes, I think Chelsea will get an early goal and go on to win the match 2-0 … but don’t bet your mortgage on that though.